Build intranet sites and create pages, document libraries, and lists. Add web parts to customize your content. Show important visuals, news, and updates with a team or communication site. Discover, follow, and search for sites, files, and people across your company. Manage your daily routine with workflows, forms, and lists. Sync and store your files in the cloud so anyone can securely work with you. Note: Images in this Quick Start depict the Modern experience unless otherwise indicated. For more information, see Which version of SharePoint am I using? You don't need to install any software to use SharePoint Online. Instead, just connect through your web browser. Sign in to your work or school account at office.com/signin. Select the SharePoint tile on the on the Office 365 home page, or in the app launcher. 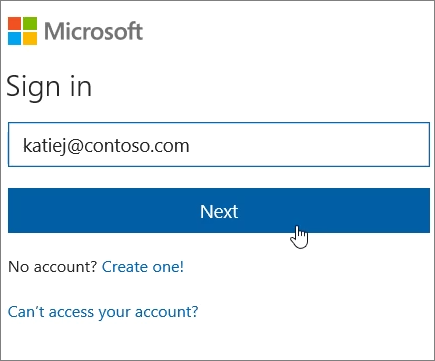 For more information, see Where to sign in to Office 365. Type the SharePoint site URL into the web address bar. For example, https://contoso.sharepoint.com.